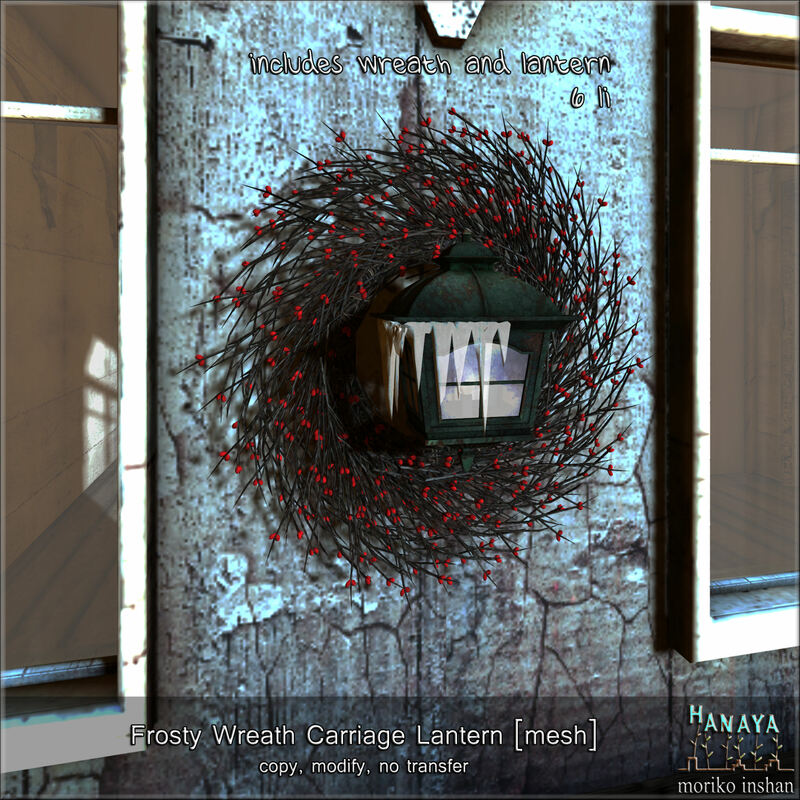 Here in Germany, we had our first frost, so it seemed appropriate to introduce our first product of the winter season – the Frosty Wreath Carriage Lantern. A super-detailed twiggy wreath with red berries showcases an old fashioned carriage lantern with icicles. The lantern with its verdigris finish and antique glass has a land impact of 6 PE at provided size. Available for purchase on the Second Life Marketplace or at -Hanaya- in-world store, where you can see it on display. Don’t forget to wear our VIP store group tag for a 20% discount! This entry was posted in Product Announcements on October 19, 2015 by moriko.